The Vertigo Set is packed full of helter-skelter fun as marbles whizz through prescision drilled holes in block tunnels and bridges, along rails and tracks and speeds in circles. The tracks sit level and speed results from the use of different connecting blocks, accelerators & action pieces. All simply combined for fast moving effects. Quadrilla marble run offers a world of unlimited possibilities for 3-dimensional thinking, creativity and technical understanding, providing a fascinating and absorbing game that can be enjoyed by ages 4 to 444! 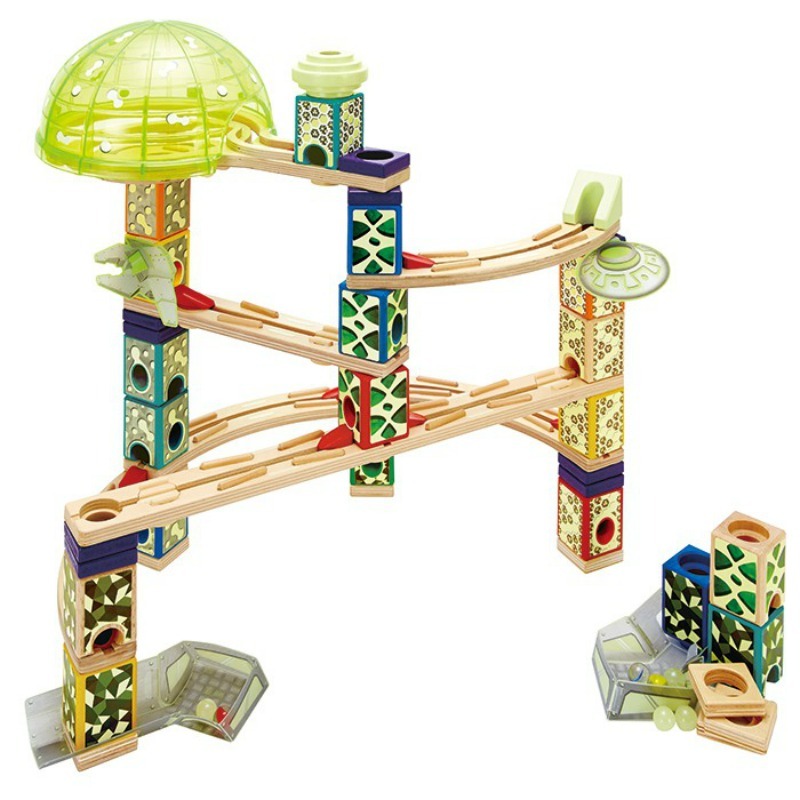 A fantastic set on its own but it can also be expanded with any other set from the Quadrilla Marble Run range.